Franzosini’s novel is an ode to a tragic artist who captured the dignity of animals. 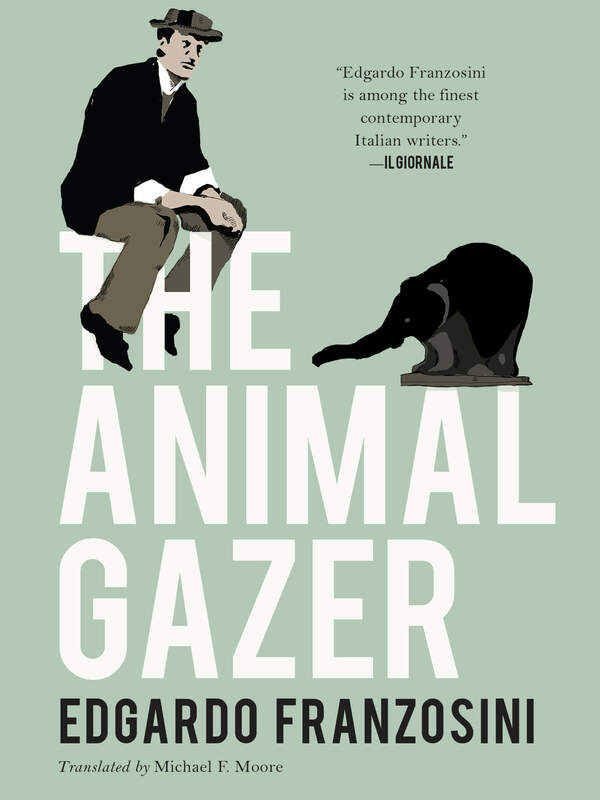 Edgardo Franzosini’s The Animal Gazer is a captivating character study of a mysterious artist whose attention to the nuances of animal life brought him lasting fame. Rembrandt Bugatti is, in the words of one critic, an “animal sculptor by predestination.” The high-born artist dresses with distinction and chooses bronze as his main medium, going each day to the zoo, where he gazes “with envy at the animals’ blissful ignorance” and captures them in their most candid positions. Bugatti is well aware of the dangers implicit both in anthropomorphizing animals and in treating them with too little humanity. He expresses disgust when animals are made to perform, as well as over a budding society tendency to regard humans as kin to beings of fur and feather. The zoos and zoologists of Bugatti’s time are highlighted both for their showmanship and for their problematic philosophies. His favorite zoo is Jardin des Plantes, which in 1908 still hosted human exhibits; a person in charge of zoological collections, who also aims to collect wild children, invites Bugatti’s disgusted reaction. Then WWI advances on Bugatti’s tidy European life. Antwerp’s gentility fades away; it becomes a place besieged, where fear and bloodshed rule. German soldiers do unspeakable things to Belgian citizens, using their exasperation as an excuse. As the zoos he loves are razed and the animals within them are annihilated, Bugatti spits out clots of blood that almost seem to mark his dismay. He moves toward the decimated zoo in mourning, finding that it has become a makeshift hospital and taking up nursing duties almost incidentally. In the events that follow this coincidental service, his fictionalized end is rendered as a fatal, tragic, sympathetic act. The historical record is preserved as well, through snippets of letters from, to, and about Bugatti. These, coupled with the too-visceral details of the war, impart realism in a text that might otherwise be dominated by its own artistic and ethical musings. The result is a story that is both polished and affecting, with photographs of the artist’s work punctuating its movements. I ordered my copy, so I can give my own comment soon!